LOVRNET is a three year pilot program targeting the Lions Multiple District 22 which is Maryland, Delaware and the District of Columbia. The goal of this demonstration project is to increase the awareness, availability and referral for low vision rehabilitation services for individuals encountering vision problems and performance of their everyday activities. The program is funded by grants from the Lions Club International Foundation Sightfirst progam and the Readers Digest Partners for Sight Foundation. What is the role of the Lions in this project? The Lions of Multiple District 22 administer and coordinate the LOVRNET program. They have program chairpersons and an executive committee structure that represents the 5 districts of Multiple District 22 that governs and directs the operation of the program. 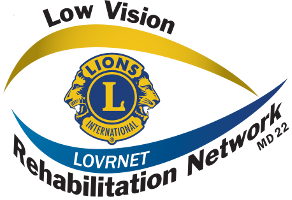 In addition the local Lions provide direct service to the LOVRENT program through interaction with low vision patients. How do I get involved with LOVRNET? 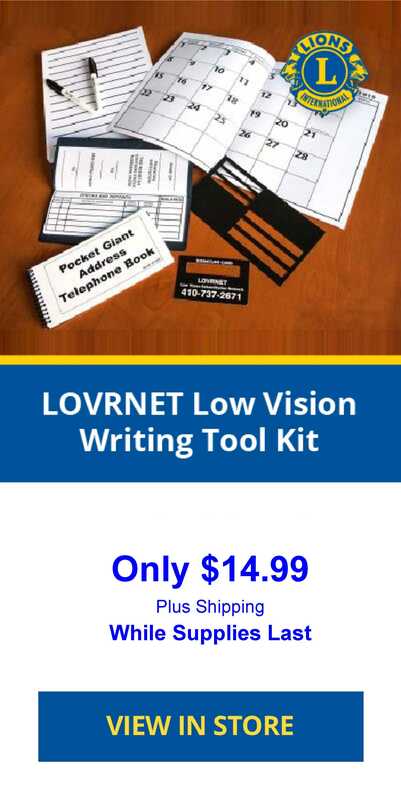 How do I refer a person with vision problems to the LOVRNET program?